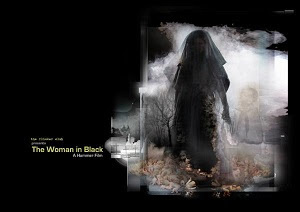 Friday evening saw the release of the latest Hammer horror film, an adaptation of 'The Woman In Black' - based on Susan Hill's novel of the same name, which has also spawned a tremendously successful stage play. I had the fortune of seeing the film on its opening night at VAULT Festival in the iconic setting of The Old Vic tunnels by Waterloo station. 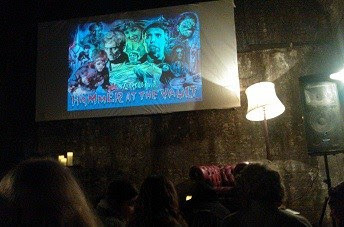 Presented by The Flicker Club, this was one of a host of ongoing Hammer film screenings featuring special guest introductions/readings. Our special guest was Liz White, the film's very own Woman In Black. Prior to White's reading of a chapter from the original novel, we had an enthusiastic introduction from a gentleman (who as far as I'm aware, ironically failed to introduce himself) from The Flicker Club - telling us all about the small "vault" in which we were sat. The home to dead bodies in the past, he said. Appropriate, we said. White proceeded to read Chapter Ten of the original novel, which thankfully transpired to be somewhat different in the final film - I was a bit concerned about spoilers, having not subjected myself to the play. Indeed, I was a bit concerned all round having heard about 'The Woman In Black' being one of the most chilling ghost stories of all time. Perhaps I was overly concerned as it eventually fell far short of this tagline. And I'm a massive scaredy cat. The film starring Daniel Radcliffe and Ciaran Hinds sees Radcliffe's character visit a local village in the North East of England in order to sort out the legal affairs of a recently deceased woman. It emerges the estate of this woman is haunted by her wronged sister, the eponymous Woman In Black. I'll be presenting a full review of the film shortly but in essence, aside from a few effective scares, 'The Woman In Black' is somewhat mundane. The film is rated a 12A, and I suspect had director James Watkins not had to modify his film, however slightly, it may have been more impressive. It's a technique that's paid dividends for Hammer though, as the film has immediately risen to the top of the UK box office takings. Read more about VAULT Festival here.